The Delhi CM also questioned the centre's decision of exempting parties from paying income tax while depositing demonetised notes. NEW DELHI: Delhi Chief Minister Arvind Kejriwal today demanded setting up of a commission to probe source of funding of political parties. He also questioned the central government's decision to exempt political parties from paying income tax while depositing old 500 and 1,000 rupee notes. He sought to link the Centre's tax exemption decision to the meeting between Prime Minister Narendra Modi and Congress Vice President Rahul Gandhi yesterday, suggesting the announcement was the outcome of the parleys between the two. "Common people are being investigated if they deposit Rs 2.5 lakh individually. But if political parties are not going to be investigated even if they deposit Rs 2,500 crore following the decision, then it is wrong. 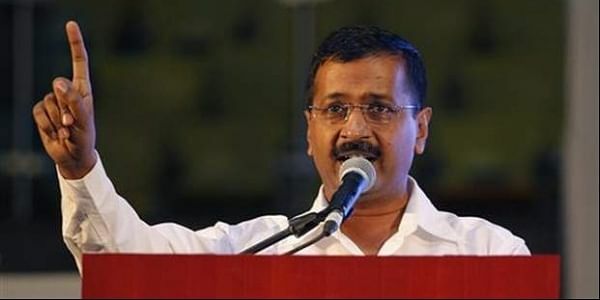 "We demand setting up of an independent commission to probe into bank accounts details of political parties over the past five years, to investigate into their sources of funding," Kejriwal said at a press conference. He also asked the Centre to make public details of money deposited by all political parties post-demonetisation and sought removal of the "less than Rs 20,000 donation cap" for tax exemption, saying "each paisa the parties receive should be declared". "The income tax returns filed by AAP right from its formation until now are being enquired into. We are presenting each of the receipts and vouchers to the income tax department. We are not scared, what other parties, BJP, are scared of? Why they too should not be probed?" he asked. Kejriwal, a bitter critic of Modi, accused the latter of helping political parties -- the "biggest hoarders of black money" -- to convert it into "white" at a time when common people have been forced to queue up outside banks and ATMs to withdraw their hard-earned money. "Ye desh ke sath dhokha hai (it is a big fraud played on the country)," Kejriwal said. Stating it was "surprising" that the tax exemption decision came after Gandhi led a Congress delegation to meet Modi, Kejriwal demanded that the Congress Vice President make public details of Modi's corruption as he claimed to have supporting documents. "He is not sharing details of Modi's corruption, is only talking about it... Then he meets the PM and seals a deal. I will insist Gandhi to make public the evidences and that he stops entering into deals with Modi. Or else, the country will not forgive him," Kejriwal said. Hitting out at the Prime Minister, Kejriwal alleged Modi's intentions were "bad" right from the day he announced demonetisation on November 8. Meanwhile, Kejriwal also denounced the decision to hike petrol and diesel prices, which he saw as a repercussion of demonetisation and sought its immediate reversal. "We oppose the hike in fuel prices. This is direct result of demonetisation. The rupee has become weak in international market post-demonetisation, leading to hike in the fuel prices. This should be rolled back immediately," he said. To a question, the chief minister said the AAP is "not affected" by demonetisation. He reiterated demonetisation is an "unconstitutional" move and likened it to dacoity by the Prime Minister on bank accounts of people as they are not being allowed to withdraw their hard-earned money. Referring to a case pending before the Supreme Court with regard to demonetisation, Kejriwal hoped it takes cognisance of concerns and declares the move as "unconstitutional".